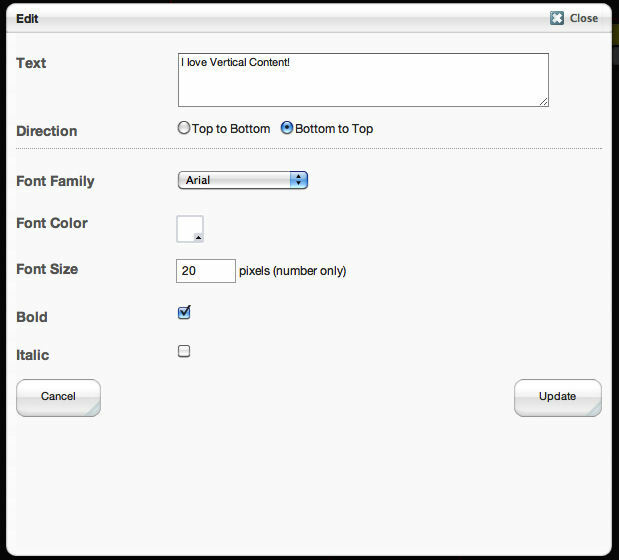 This simple add-on gives you the ability to easily add vertical formatted text (in either direction) to any page. The effect uses an SVC object in modern browsers, and since Internet Explorer doesn't support SVC it uses IE's special filter property. Short story - it will work in all browsers. You get the idea. 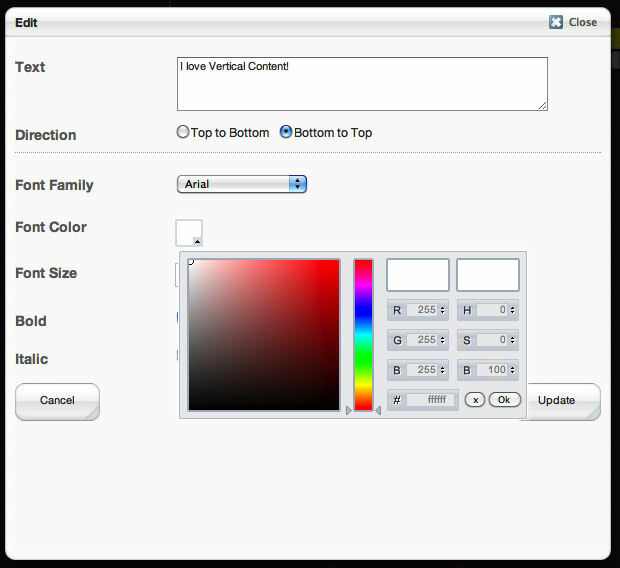 You can use a variety of fonts, any colour and any font size you wish. 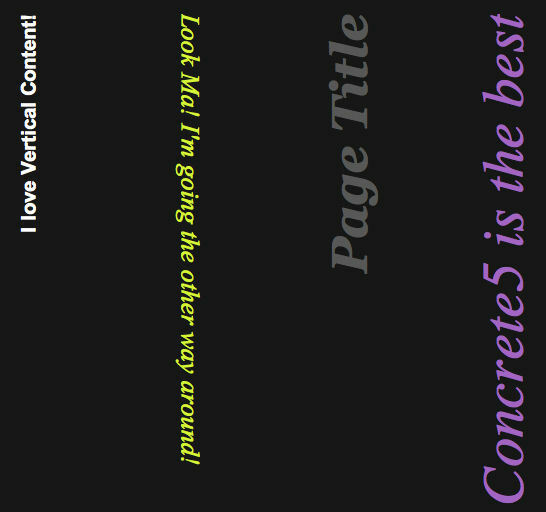 it is ideal for creatively displaying a page headline on the left or right sidebar. The possibilities are endless! 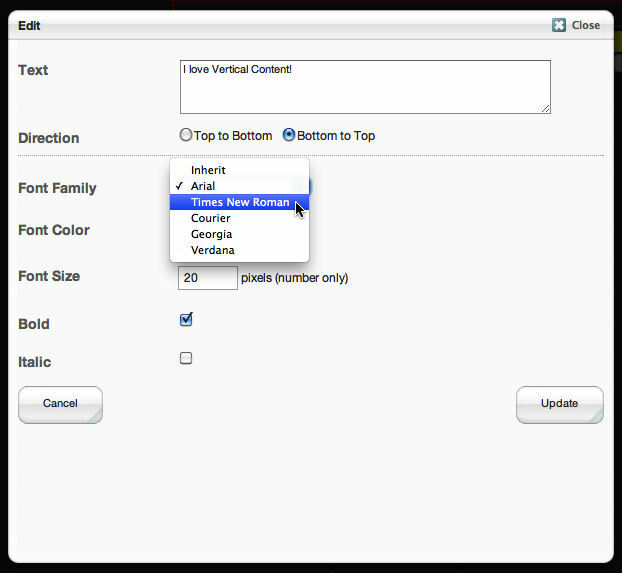 Easy formatting options: font, colour, bold, italic, size.